Are you able to deal with difficult events that affect your life? Traumatic events like death of a loved one, a life-threatening illness or a divorce? What about challenges in the office? Are you able to cope with losing your job, organisation changes or office conflicts? While many people are unable to cope and remain stuck, others seem to bounce back from tragic events quickly. What makes them recover is resilience. A person with resilience will bounce back more quickly and with less stress than someone whose resilience is less developed. This workshop will show you the factors that contribute to resilience, how to deal with cognitive distortions that affect resilience, and how you can build up your resilience. Attend the workshop and increase your resilience. Learn how you can bounce back from adversity quickly. 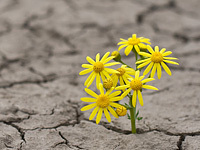 Discover the variables that contribute to resilience. Define optimism and its benefits. Deal with cognitive distortions that affect resilience. Understand how catastrophic thinking creates anxiety and its impact on your health. Create positive emotions and character strengths to increase your resilience. Managers, executives and business profesisonals who want to improve their resiliency skills so that they can steer through difficult situations and reach out for new challengs confidently. To register for the public workshop, please contact us for workshop details. To run an in-house workshop for your staff and colleagues, please contact us for workshop details.